This site may contain links to other sites on the Internet that are owned and operated by third parties. You acknowledge that WindBone Kite Surf Paddle & Hobby is not responsible for the operation of, or content located on or throughout any such site. WindBone Kite Surf Paddle & Hobby reserves the right to make changes to this site and these conditions at any time. 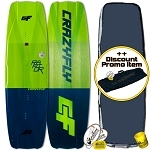 This online store is operated and maintained by WindBone Kite Surf Paddle & Hobby. If you have any questions or issues in using this site or with the checkout system please Contact Us to support.